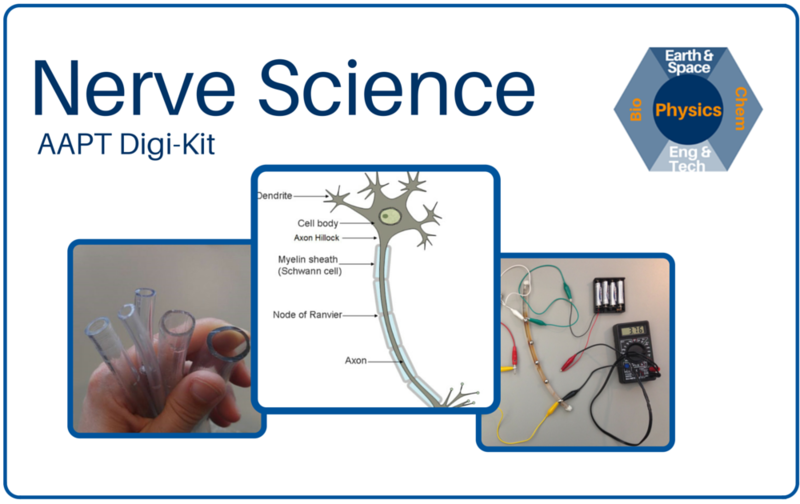 Digi Kits are vetted collections that include a hands-on, inquiry-driven activity inspired by articles from The Physics Teacher journal, digital resources that support student and teacher learning, and are aligned closely to the Framework for K-12 Science Education and NGSS performance expectations. Click on any Digi Kit below to learn more! 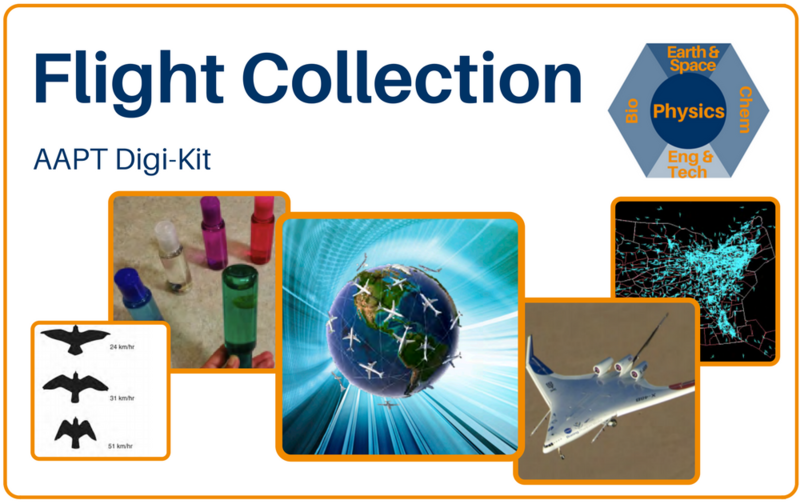 This Digi Kit was inspired by an article in The Physics Teacher journal, "Teaching Astronomy Using Tracker", by Belloni, Christian, and Brown. 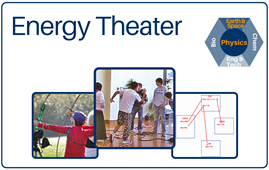 This AAPT lesson is the linchpin of our High School Digi Kit on energy transfer and transformation. 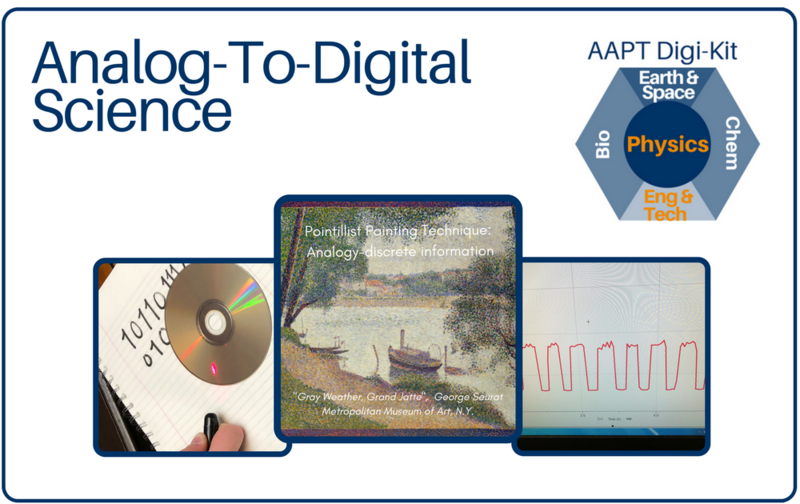 Model how digital signals are created from analog signals through analogies with art, data sampling from graphs, and sending messages through laser beams. 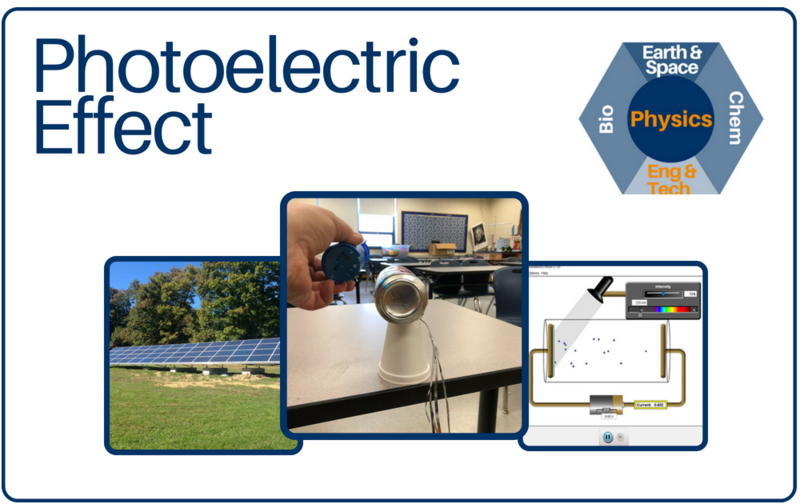 Observe the photoelectric effect, model its effect on electrons with an online simulation and hands-on manipulative, and use the Claims-Evidence-Reasoning approach to explore the wave versus particle model for light. 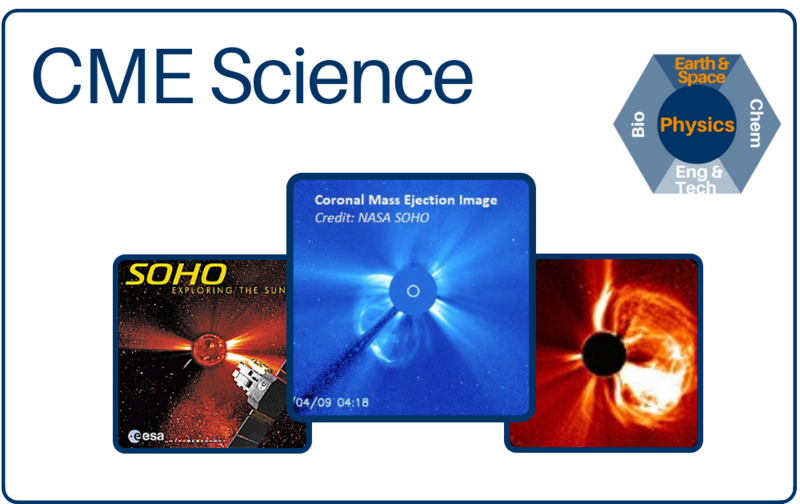 This Digi Kit blends physics and space science as students analyze authentic data from the NASA SOHO space observatory to measure the speed of a coronal mass ejection (CME). 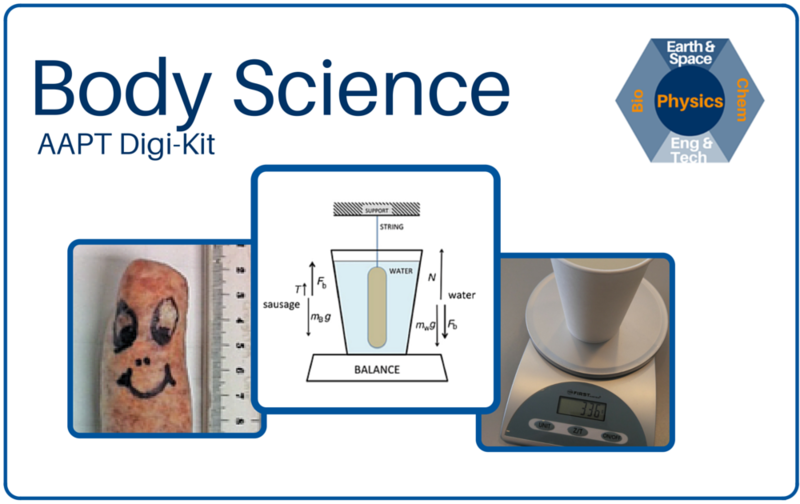 Determine the percent body fat of a sausage "cadaver" using hydrostatic weighing. Determine the amount of helium in an irregularly-shaped balloon using gas laws. 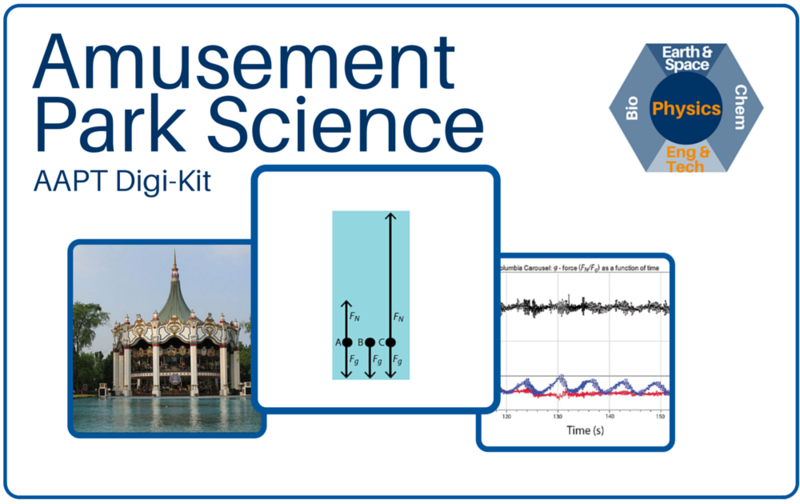 Use a smartphone accelerometer to generate quantitative force diagrams and measure accelerations on rides. Using a force meter, record total impulse generated by a rocket engine to predict maximum flight height. 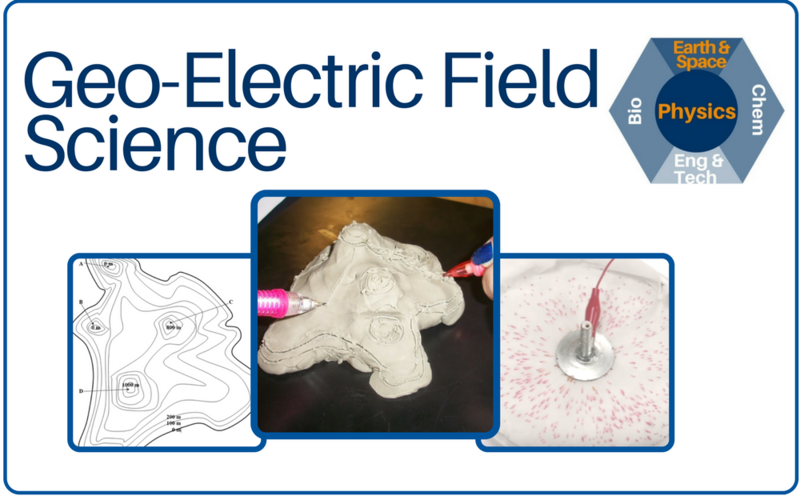 Create a clay model to understand the analogy between gravitational fields and electric fields. Model and measure resistivity of gelatin "nerves" of various diameters. 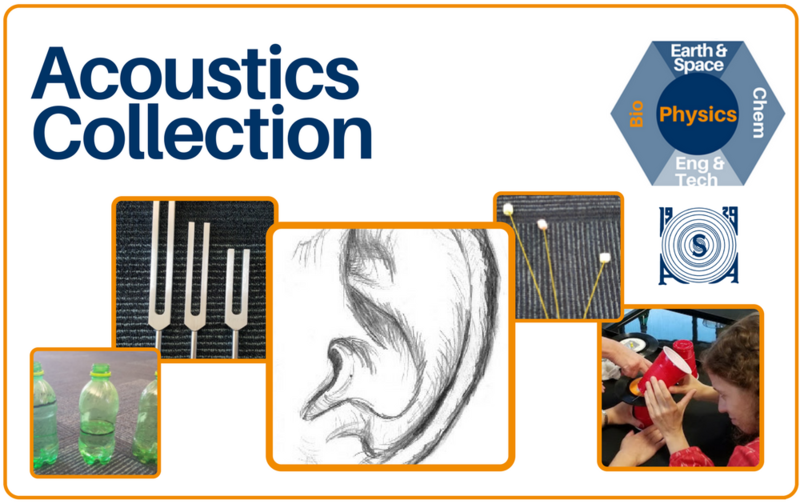 Collection of 6 lessons associated with vibration, waves, and acoustics, developed with the Acoustical Society of America. 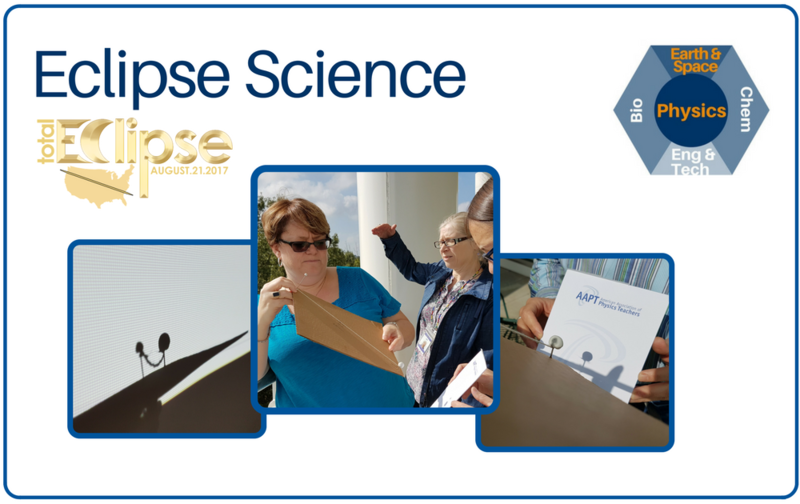 Use a piece of cardboard, pins, clay, and string to model solar and lunar eclipses. 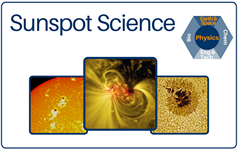 (Get more resources from AAPT's collaboration in the NASA Space Science Education Consortium). 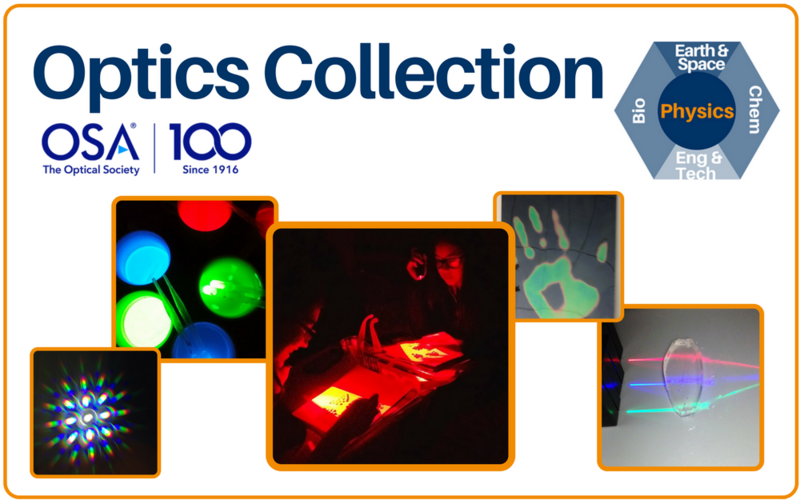 Collection of 9 lessons associated with light, color, and geometric optics, developed with The Optical Society. 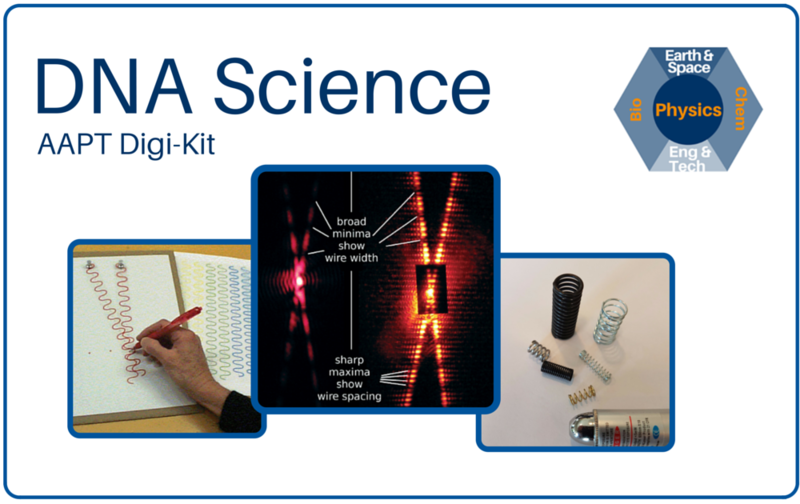 Model how Rosalind Franklin determined the pitch angle of DNA using a pen spring and a laser. 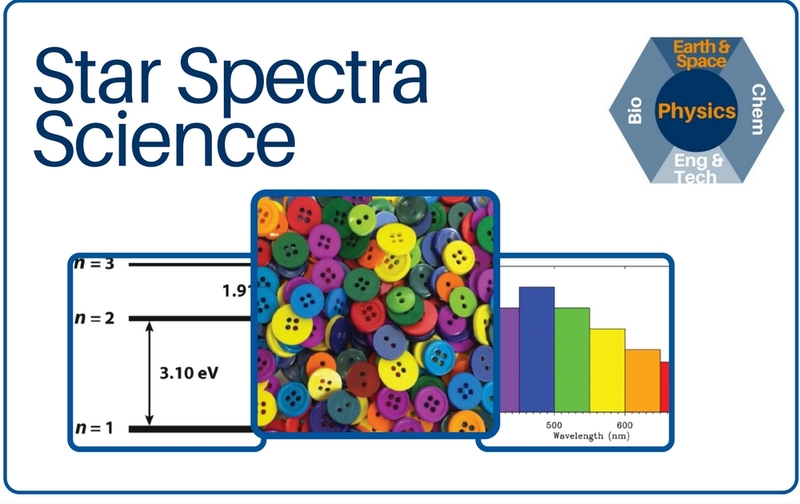 Use colored buttons and balloons to analyze star color, black body radiation curves, and luminosity. 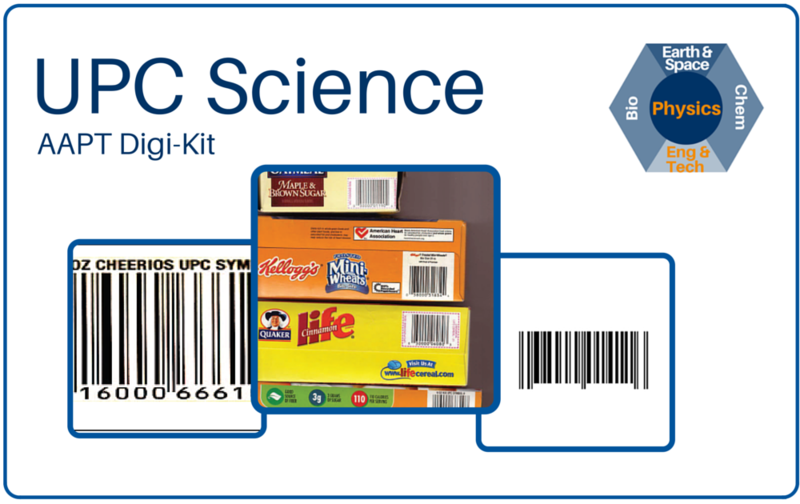 Determine the rules associated with UPC bar codes and draw analogies with scientific discovery. 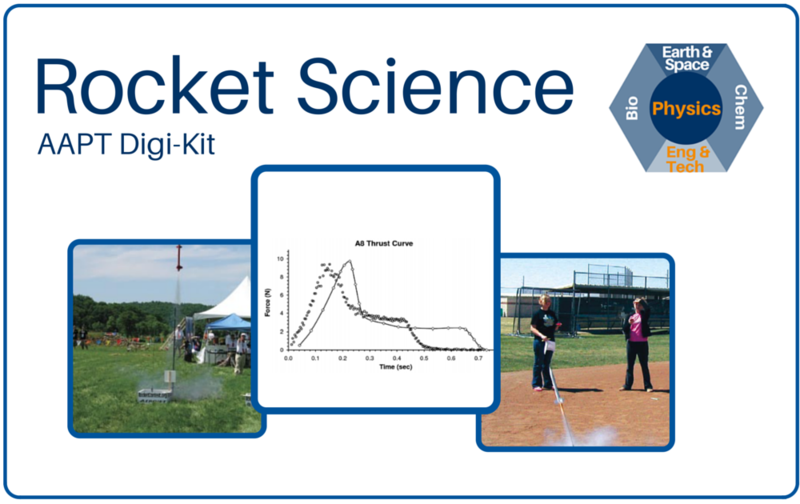 A collection of over 26 lessons and activities surrounding flight physics, developed with NASA Aeronautics as part of AAPT's Space Act Agreement with NASA to promote aeronautics education.